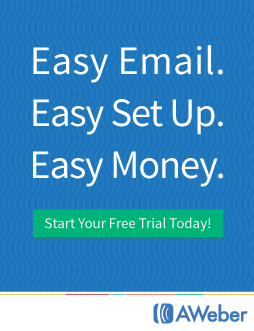 Home »Cryptocurrency » Salon to ad blockers: Can we use your browser to mine cryptocurrency? 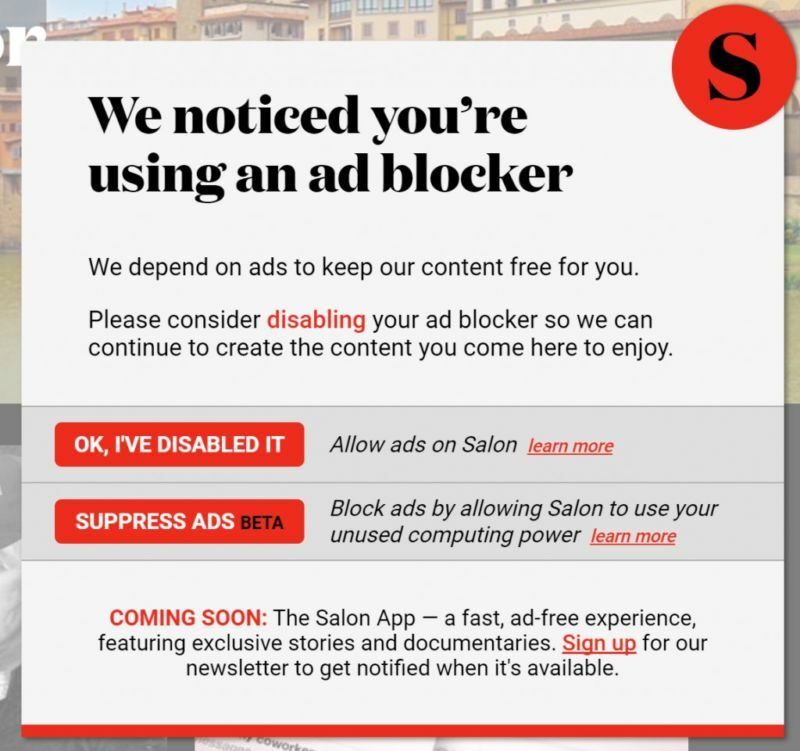 Salon’s optional coin mining lets you avoid ads, but eats up your CPU power. 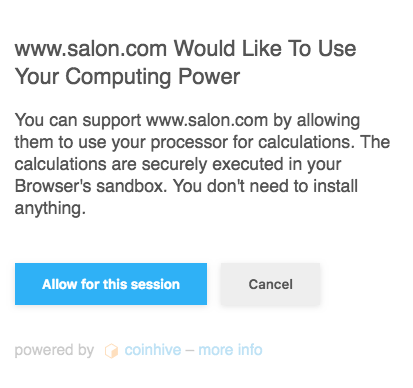 While that’s a bit vague, a second Salon.com pop-up says that Salon is using Coinhive for “calculations [that] are securely executed in your browser’s sandbox.” The Coinhive pop-up on Salon.com provides the option to cancel or allow the mining to occur for one browser session. Clicking “more info” brings you to a Coinhive page. The bottom of my laptop started heating up a little, but the computer still worked normally otherwise. With that high Chrome usage, the Mac Activity Monitor said I had about 24 percent of my CPU power still in idle. After I disabled Salon’s cryptocurrency mining, my idle CPU power went back up to a more typical 70 to 80 percent. The computer I used for this experiment has a quad-core, Intel Core i7 Skylake processor. People with different computers will obviously get different results. While Salon’s mining might not lock your computer up, I still wouldn’t want it running in the background, especially if I were away from a power outlet. On Salon, readers aren’t forced into cryptocurrency mining because of the site’s opt-in system. But in other cases, users have been unaware that Coinhive was being used on their systems. 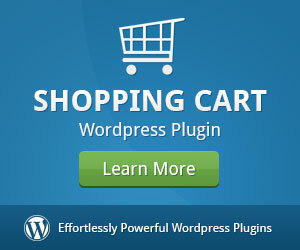 Researchers “from security firm Sucuri warned that at least 500 websites running the WordPress content management system alone had been hacked to run the Coinhive mining scripts,” we wrote in the October 2017 article. Cryptojacking continues to be a problem, as we’ve detailed in several additional articles, including one yesterday. Users being caught unaware shouldn’t happen at Salon, which makes it clear that readers don’t have to opt in to the mining and says that users’ security isn’t compromised. Salon notes that ads allow the site to make money from readers without requiring them to pay for subscriptions. Salon currently doesn’t seem to offer a subscription option but says it will soon deliver “a fast, ad-free experience” in a new, paid app for mobile phones and tablets.